Listen to this short podcast episode (5min) with Portland's Mac's List on the launch of their book "Land Your Dream Job" on how to navigate life after college. Share it with others who could use a few supports along the way. "...I’m not going to lie to you. This next phase of life after college can be difficult and the transition into the working world does not come with a lot of guidance. You’ll have to figure it out largely on your own, but you can do it. Here are three tips on how to transition into the next phase of your life. . ."
"Land Your Dream Job in Portland (and Beyond)" includes this article. (Click photo to order.) This article originally published on Portland’s Mac's List on July 5, 2013 - Republished here in celebration of print book release. I’m not going to lie to you, this next phase of life after college can be difficult and the transition into the working world doesn’t come with a lot of guidance. You’ll have to figure it out largely on your own. But you can do it. 1. Acknowledge that you’re in a transition, to yourself and to others. If you’re lost at sea and someone asks where you’re going, it’s only insecurity that would lead you to puff-up your chest and make up an answer, “Oh, I’m headed to that island up North.” If you do that, you’re certain to stay lost at sea for a long, long time. If you don’t know what you’re up to at the moment, do yourself a favor and admit it. There’s no shame in it, and you’re not alone. Being honest with where you’re at will take a load off your shoulders, and it will tip off helpful good Samaritans about your need for support. Find a way to speak about the transition you’re in. Be confident. Family friend: So what are you up to these days now that college is over? You: Well, I’m taking a breather from the stress of school, and I’m also sorting through the next phase. I’m not sure yet what’s next for me, but I’m figuring it out little by little. Then share a little bit about what you are doing. Your creative and social life, the job you may have, even if you don’t love it. Family friend: Wow, you sure are mature! I wish I’d been that thoughtful at your age. 2. Create a community around your career pursuit. If you have ideas of what’s next, but could use some help in getting there, your friends are likely in the same boat. So gather together! With good food and levity, convene with others in a supportive atmosphere and share the goals you’re hoping to make progress on. Encourage discussion, and have someone write all of the goals down. In a month, meet again. Check in on the progress you’ve made and set new goals. This creates accountability for all of you and it will help move you closer to the life you’re seeking. You can set big goals, but try to focus on the smaller ones: “I want to take three people in the design industry to coffee this week and pick their brains,” or “I want to write two entries on my cooking blog and practice new recipes.” Great! A journey of a thousand miles begins with a single step. Supporting these small steps together with friends provides incentive to stay on track, and it keeps you from feeling so lonely! If you don’t know enough people in town to form a group, create one through Craigslist.org or Meetup.com. Community is out there waiting for you, so don’t be shy. 3. Journal about what you want and what you are feeling. You are your greatest guide these days. Listen to what you’re thinking about, wishing for, and striving after. Find some time to write a few times a week and include dates with your entries. With each entry, you’ll help to un-jumble your thoughts and find clarity. Writing what you’re feeling provides the same support for reflection that talking with a friend can. In writing, the core of what you’re feeling can begin to emerge, and patterns in who you are begin to rise out of the fog. You’re a unique person with unique interests. As you continue to get to know yourself, the pattern of who you are will begin to shed light on your path ahead. Keep writing. Looking back at all the entries in the future, you’ll be glad to see the progress you’ve made and you’ll discover that you were more on track than you thought at the time. Podcast! Click here to listen to the podcast version of this article, or to share it with others. 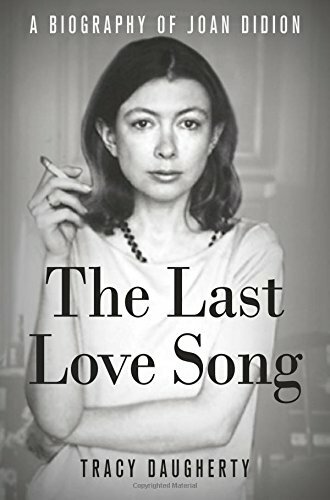 In the late ‘60s, Joan Didion introduced readers to her masterful interweaving of personal narrative and cultural critique in Slouching Towards Bethlehem, a collection of nonfiction essays that transformed the genre. More recently, she altered the structure and poetics of memoir through her description of sudden loss and all-consuming grief—and the life that follows—in The Year of Magical Thinking, which won the National Book Award and was a finalist for the Pulitzer Prize. In this seminar we will explore how Didion’s nonfiction portrays the richness and rawness of the human experience, witnessing and accepting others and herself throughout. With very special guest, Tracy Daugherty, author of the recent acclaimed Didion biography, The Last Love Song. Guide: Satya Doyle Byock is a writer and psychotherapist in private practice in downtown Portland. She has led previous Delve Seminars on Joseph Campbell’s Hero with a Thousand Faces and Carl Jung’s Red Book. Her personal essays and other writing have been published in Oregon Humanities, The Hairpin, andPsychological Perspectives, and her essay Going Astray is listed as a Notable Essay in The Best American Essays 2015. I am delighted to share the recent publication of my article "The Inner World of the First Half of Life: Analytical Psychology's Forgotten Developmental Stage," in the Winter issue of Psychological Perspectives, published by The Los Angeles Jung Institute. You can download the approved, un-formatted manuscript for free here.